I LOVE MEAT! I do not know how vegetarians do it but I will be absolutely miserable if my existence was meatless. But this is not exactly a carnivorous post. There are times however when all I want is a fresh salad. 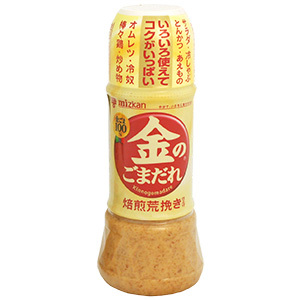 My favourite dressing is the Japanese sesame dressing. Almost like the sesame dipping sauce for Shabu Shabu. It’s creamy, sweet tang is addictive! Even if I cook another type of cuisine and I include a salad, I will dress my portion with Japanese sesame dressing. See recipe here. If you are too lazy to make your own. this is the best brand of sesame dressing you can find in the supermarket. 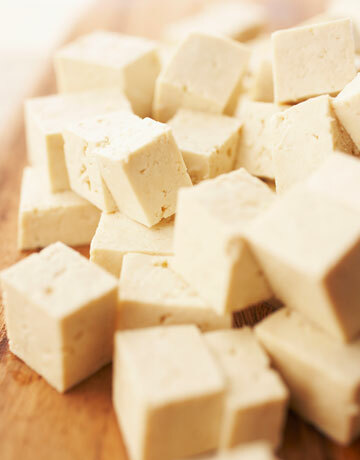 Lately it’s been all about avocado and tofu for me. Cream on cream on cream. Delicious and healthy. 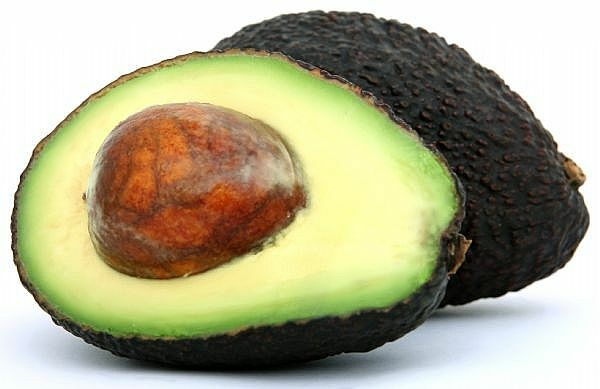 My DCM & I are mad for avocados! I decided to jazz up my favourite combination a little to make it more substantial as it was going to be dinner for my DCM and me. I was in the mood for tuna-mayo. I know, I’m weird like that. See recipe here. And I saw broccolini so I had to buy some. It was such a good salad. If you’re not a sesame dressing fan, any other Japanese dressing will probably work fine. But you should be a Japanese sesame dressing fan. See salad recipe here. 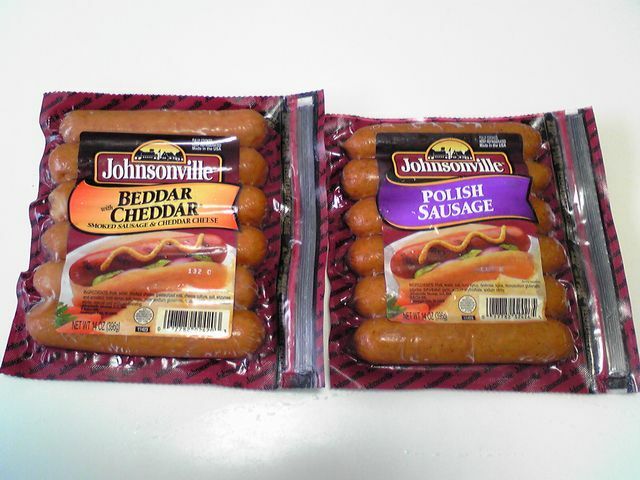 Johnsonville sausages are soooooo good! Hotdogs. Simple. Hotdog buns, good sausages, ketchup, mustard, relish, maybe chopped raw onions, fried onions (it’s a Danish thing), maybe crispy bacon bits, cheese and anything you want to top a hotdog with. The only thing important here is the quality of the ingredients. Otherwise you might as well have an IKEA hotdog. It wasn’t a gourmet dinner but it was good eating. I love hotdogs as much as he does and he loves salads as much as I do. 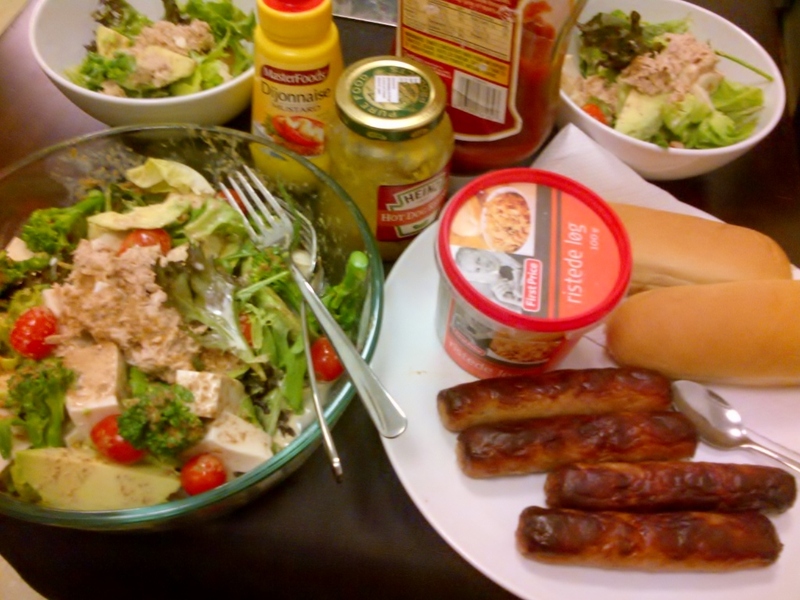 I reckon there will be many more hotdog and salad days. Some healthy to offset a bit of naughty makes it a well-balanced meal right? I have a thing for soba noodles. Zaru soba (cold soba noodles dipped in tsuyu and spring onions) or Yakisoba (boiled soba fried simply with vegetables and meat) are the two more popular ways of eating soba. Its simple, clean flavour is so pleasing. The other thing I love about soba is its springy texture, as well as its ability to keep from going to mush as quickly as other noodle varieties. 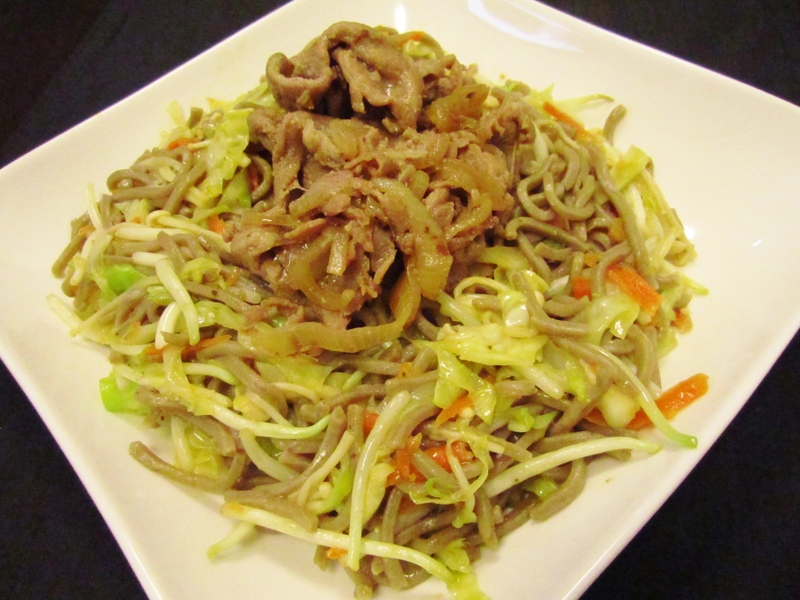 While I love Zaru soba best, I cook Yakisoba due to convenience as it is an all in one, healthy meal. 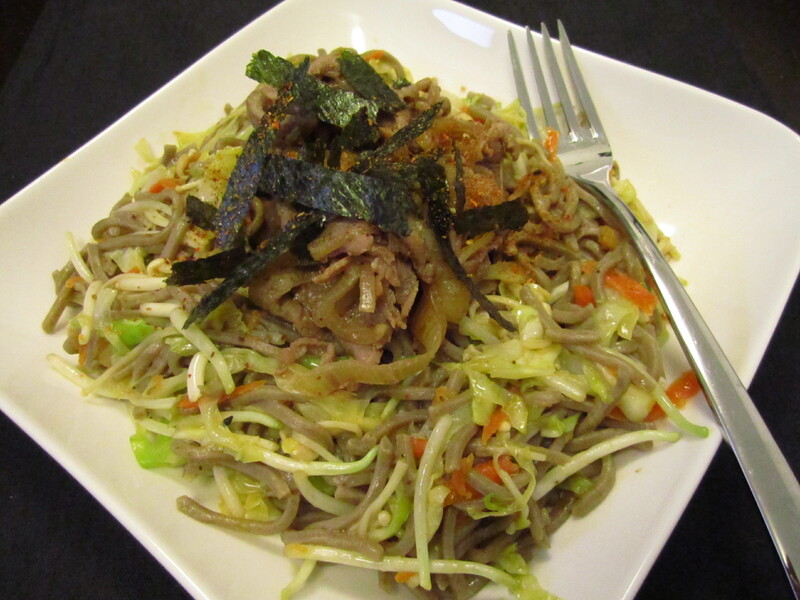 This time around, I split the meat component from the soba. See recipe here. I love donburi but I try to abstain from eating so much rice especially at night. The reason I love donburi doesn’t have so much to do with the rice though. It has to do with the topping. Oyako-don is my favourite. Chicken, onions and egg simmered in a salty sweet sauce and eaten steaming hot over Japanese rice is a comfort food of mine. I had it every day for a period of time whilst I was in school. I came across some Kurobuta shoulder shabu shabu in the supermarket and decided to make a pork version of the Oyako-don topping sans the egg. So good… Pork is good. Or if you do not like pork, go with chicken. See recipe here. The versatility of these two dishes makes it a busy cook’s dream. And makes tummies very happy!